Whitecap Guide and Japan regular, Hayden Robbins on leading his first Japanese Road Trip last winter. 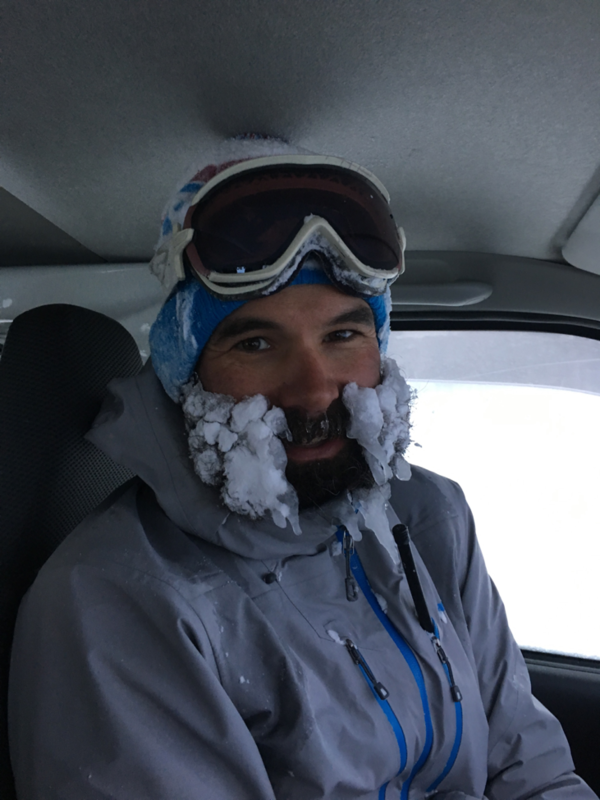 Hayden the Guide: Whitecap Alpine Guide, spent the last few seasons learning the nooks and crannies in the Hakuba and Myoko regions. Ebi-Su the Hiace Super Van: Four-wheel drive, turbo-diesel Toyota super van. The silver bullet. 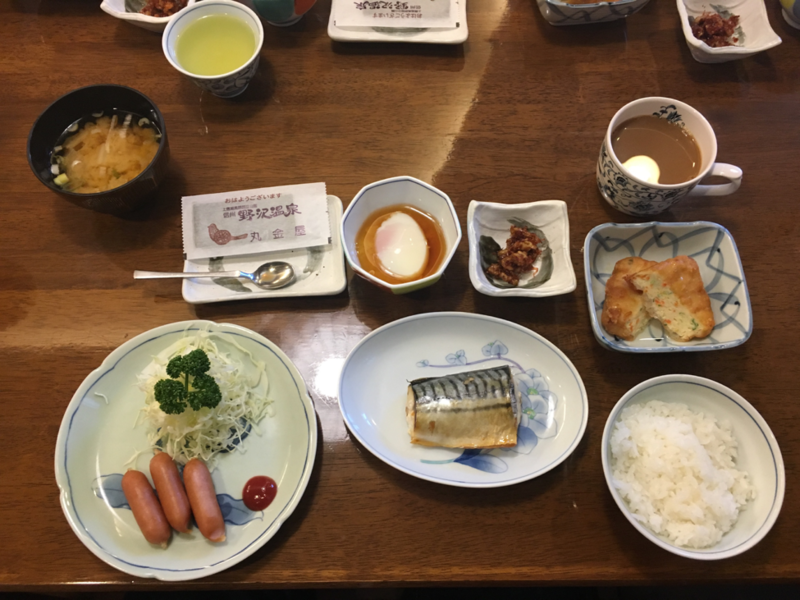 The Objective: The rough plan was to take a two-week road trip though the Northern Japanese Alps and outlying regions, to search out the best snow, hottest onsens and mouthwatering food. We would pack ourselves in to Ebi-Su the Super Van and hit the road from my home-base of Hakuba, where I had the most detailed knowledge of the terrain. This would ensure that we could get some great turns in right away to kick things off on the right foot before heading into the unknown. Stop two would be Myoko, a smaller town in the Nagano region with a handful of resorts situated around a volcano. It was a spot I had spent some time at before and could give us more variety in terrain and some high value vertical, not to mention an abundance of geothermal. The rest was undetermined, allowing for flexibility to adapt to conditions and desires! 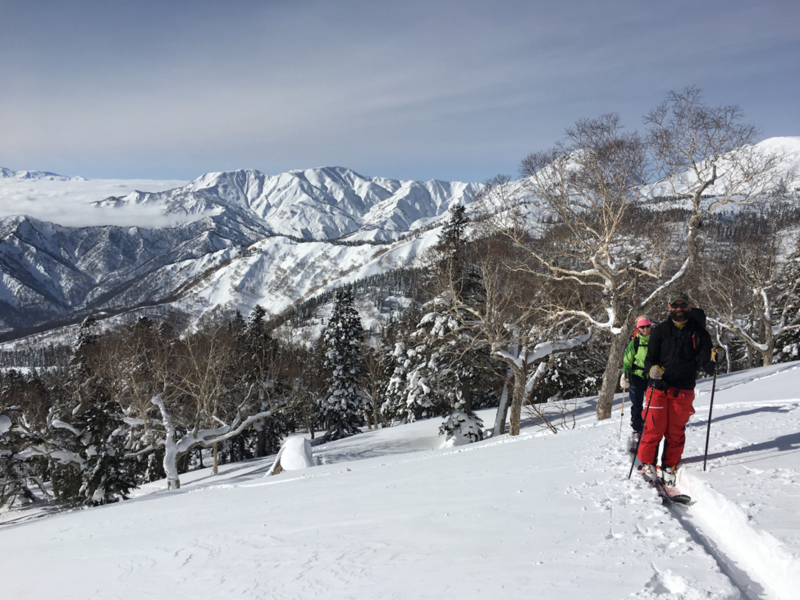 Stop 1 – Hakuba: We started the mission in the homelands of Hakuba – the perfect place to meet up, work out any kinks with gear,and enjoy a few really good ski days in familiar terrain and snowpack. At Whitecap, we are very fortunate to have great partner in Morino Lodge, who help us out immensely with logistics, lodging and locals’ secrets. Together, we make skiing in a foreign land way easier. An added bonus – they make a wicked pizza. Mike & Mimi showed up to Morino right on time after a few days of cruising Tokyo. We spent the first couple of days doing some classic Hakuba lines. 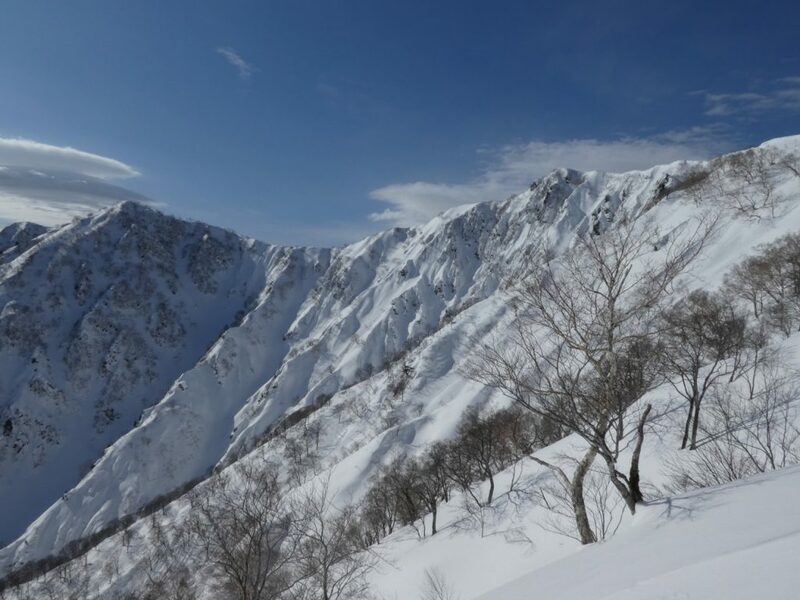 There are 10 resorts in the Hakuba valley, all with great backcountry options that are unique in their own rights. It is a super-efficient way to ski tour as you can gain a huge part of your elevation through the use of lifts. On our third day we were treated to some classic Japow; super deep, snowing like crazy, and leg burner trail breaking! However, by the afternoon temperatures spiked, and it was almost starting to rain so we pulled the pin and decided to hit the road! Stop 2 – Myoko: With the inclement weather and hustle-bustle of Hakuba, a change of scenery was exactly what we needed. Myoko is a much smaller town than Hakuba and only about 34km away as the crow flies. However, it is about a two-hour drive as you must meander around the mountain range, navigate Nagano and multiple highway tolls – an adventure in its own right. Mount Myoko is a volcano upon which about 7 resorts lie. The town at the base has a strange Soviet feel and strong geothermal influence. It is also one of the snowiest places on earth and home to Japan’s second longest on piste ski run. Again, Morino Lodge sorted out our accommodation at their new Myoko lodge. Think part 1950’s, part Wes Anderson film, part 15 foot snowbanks and you’ve got a good idea of what the town is like. Despite the slightly more challenging weather conditions, I knew of some high elevation skiing that would allow us to get to where the snow was still good. By utilizing the so called second longest on piste run, (in other words being able to take a chairlift to 1900m), we were able to bypass the majority of the challenging snow and breakable crust that existed to 1950m. we could then ski tour to 2350m right to the crater rim. We spent the next couple of days working our way around the crater skiing lines both on the inside and on the outside of the crater. Japan is famous for its tree skiing through magical birch forests, and this zone is one of the most spectacular that I have seen. Huge openings dotted with just a few, massive and twisted red barked trees. After skiing heavily for a few days, our options were becoming limited. Luckily, we were all keen and fit and set our sights on the summit of the volcano! A long day that involved lots of ski touring, boot packing and scrambling took us the summit of Mount Myoko. We had perfect views of Hakuba, the Northern Alps and the Sea of Japan. We were rewarded with a 1800m ski to the valley and lattes at the base – followed by ramen and an onsen of course! Stop 3 – Nozawa Onsen: After shredding the last remaining pow in Myoko we set our sights on Nozawa Onsen. Nozawa is a historic town that is centered around tremendous geothermal activity. Situated on a mountainside the town is a maze of tight streets and alleys interspersed with hot flowing water running in every direction, carefully channeled with strategic waterways and channels. The Onsen scene here is so strong it permeates every facet of life. There are over a dozen public onsen bath houses sprinkled throughout. These bath houses are free to public use and funded through donations. They are different than the typical commercial onsen in that they are very simple, one big room, no showers and one pool with almost unbearably hot water. In addition to the baths, there is an open-air site where local villagers bring their vegetables and eggs to cook in the super-hot geothermal water. Due to the challenging ski conditions, this town was the ideal spot for a rest day with shrines, onsens and cool food spots to check out. Our accommodation was traditional Japanese Ryokan (bed & breakfast), complete with tatami mats and futons on the ground and fish for breakfast. This was definitely an authentic experience. After fuelling up on fried fish, miso soup and rice in the morning, we headed over to the ski hill. The resort was host to several events from the 1998 Olympics and has a vibe of being set in a magical forest. It’s a more mellow resort, but has great fall line and perfect birch forests. The lifts go right to the top so we were able to start our day with a ski run into the backcountry. It would be a day of aspects, where anything south facing had a crust on it, but careful planning could lead to good skiing. The backcountry here really lends itself to cool linkups, with the option to ski ridge to ridge and do a great circuit. As we were making our final climb back into the resort boundary we were greeted with our first kamoshika (a mythic deer like creature that roams the mountains) sighting, implying good luck for our future travels. Stop 4 – Tenjindaira/Minakami: Our most adventurous and obscure destination on the road trip was the tiny ski resort called Tenjindaira, located in the town of Minakami. It required a long drive into another prefecture (province) which included a dead straight tunnel for 11km through the mountain range. Once we popped out of the tunnel we were greeted with heavy snowfall and sprinklers built in to the roads squirting out hot geothermal water to keep the roads clear. We were staying at Tenjin Lodge, a funky spot situated right on the river in a narrow valley. Family-style dinner enjoyed with the ultimate cast of international characters provided for ample stories and excitement for the adventures of the next day. Tenjindaira is a tiny alpine resort that makes use of one of the largest gondolas I have seen. You enter into a huge base station and it’s a 45-minute uplift to another large alpine station. From here, there are three options for chairlifts, each about 200 meters in vertical. The place is also virtually empty, the only other patrons being the folks we had dinner with the night before. We scored a bunch a fresh tracks laps right from the lifts, but as soon as we hit our first track it was time to go explore. The backcountry access at Tenjin is about as easy as it comes – take one of the small lifts up, then traverse across to the boundary gate. You then come across a succession of ridges that drop you down to valley bottom and then back to the bottom of the gondola. The terrain here is absolutely tiger country, with steep ridgelines and gullies spreading out every direction right from the area boundary and flowing back to the gondola. We had ideal conditions and a bit of new snow for a refresh, but not too much to make stability challenging. While we were skiing we heard a distant but strange noise, akin to a fighter jet. We learned later that about 50km away a volcano at another ski resort had erupted! After a huge day doing ‘gondola backcountry’ we headed back to Tenjin lodge for après and some planning. 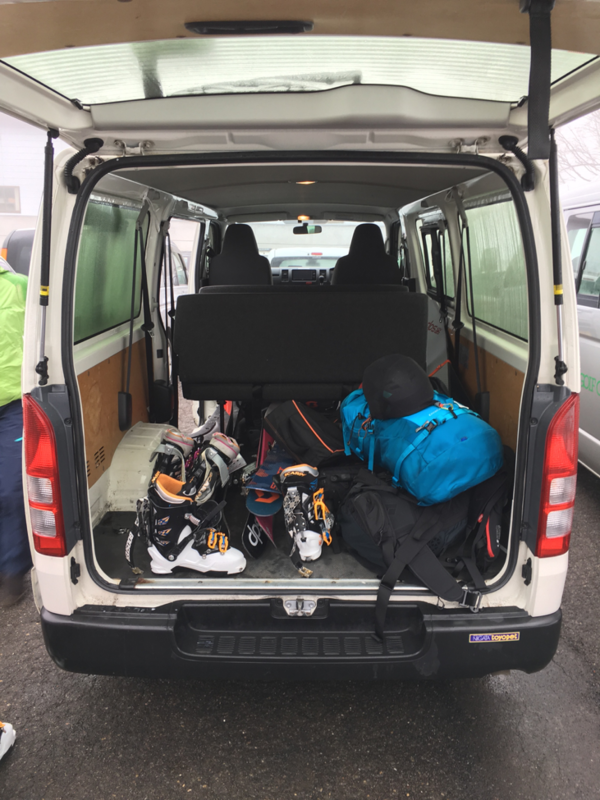 It looked as if Hakuba was about to go off so we decided to pack up the van and hit the road first thing in the morning to make it for first tracks in Hakuba the following day. Stop 5 – Hakuba Round 2: The snow reports all pointed to Japow being back in full force and the epicenter of the storm being right in Hakuba. We made the executive decision to set the alarms for 4am and boogie back to Hakuba for first chair. Big undertaking, but that’s the beauty of being as flexible as we were since we could uproot in a flash and chase storms as we pleased. A few crazy truck stop snack sessions later (including the most delicious honeydew melon bun) and we were back in the Hak gearing up for a mega day. Having such an intimate knowledge of Hakuba’s backcountry I was able to drop right in to the best lines despite not having been in town for over a week. We really nailed it! It was one of those over-the-head days that Japan is famous for. I think we must have spun at least 7 lift assisted backcountry laps, each one as deep as the last. For our last ski day, we’d had a reset overnight and did the whole thing over again, followed up by a final onsen and ramen session; you could say we were content. However, I had one last trick up my sleeve. I’d booked an authentic 7 course Japanese menu at a private restaurant that is located in a small cottage. The perfect end to a great trip! 14 days, 4 different towns, countless bowls of ramen and onsens, who knows how much vertical climbed and skied, plenty of weird Japanese backroads, and a great new friendship…I would this road trip a major success. Join us this winter for a Japanese Road Trip. Learn more HERE.